Though it’s been a while, I remember when we had a flea infestation in our house, it was an absolute nightmare. Everyone’s heard of someone dealing with this, but I can tell you from personal experience it was way worse than I could’ve imagined. And, having four dogs made this experience four times worse! Why was it so nightmarish? Because the fleas don’t only stay on the dogs, they get everywhere. They’re in the carpet, furniture, dog beds, cars, and even on us! I had flea bites on my ankles, which was quite unpleasant. How did I know I had a flea problem? Well, I was lucky because the canine crew were all suddenly itchy. In case you’re wondering, yes, I do use preventatives, but here in the Midwest we don’t use it year-round, and it happened in early spring. So, what did I learn? Start flea preventatives while there’s still snow on the ground. If it’s too late, here’s what you need to know. Scratching, Gnawing or Biting – All dogs scratch from time to time and that’s normal. 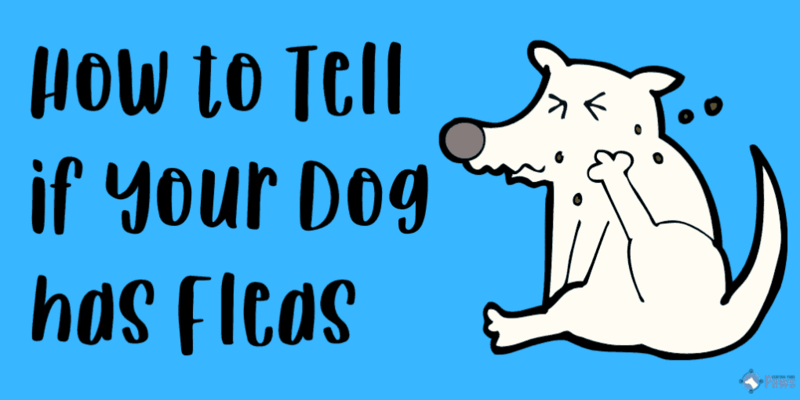 But, excessive scratching, biting or gnawing especially around the base of the tail, groin, or belly can be a sign there’s something more going on.Though not all dogs react to flea bites this way, it’s generally a pretty common signal there’s an issue. Scabs, Sores, and/or Red Bumps – Depending on the severity of your dog’s reaction, your dog may show signs of scabs or sores from their aggressive itching. Another sign is the actual flea bites, they appear as small red pimple like bumps and are often found in clusters. Flea Dirt, AKA Flea Poop – Flea dirt is essentially dried blood, it’s said that it looks like black pepper or coffee grounds. If you are unsure if your dog has flea dirt you can check the base of the tail, back, groin, or belly. If you find something that resembles flea dirt but your still unsure, add water to the suspected particles and if it turns red you know its flea dirt. Behavior Changes – If you notice a sudden change in your dog’s behavior, that could also be a sign or symptom. Some dogs become extremely tired, crabby, restless or any combination of these behaviors. It can be hard for dogs to get comfortable or sleep well when fleas are constantly biting them. Hair Loss – Often if the dog has a severe case of fleas or has an allergic reaction to the flea bites, they’ll experience hair loss. It can be from excessive scratching or from the allergic reaction itself. Normally, once the fleas are gone the hair will grow back. Usually, fleas don’t cause serious health issues generally, it’s just a lot of itching and scratching. However, there are occasions dogs will suffer from more than the normal discomfort associated with fleas. Anemia – When a dog suffers from a severe and prolonged case of fleas, it will lose a significant amount of blood causing the dog to become anemic. Anemia can result in a dogs’ gums becoming white or light pink, lethargy, and a loss of appetite. If you think your dog is anemic you will want to bring them to the vet immediately. Constant scratching can damage your dog’s skin, allowing bacteria to infect your puppy! Tapeworm – So Gross!!! Tapeworms infect fleas which then lay their eggs in a dog’s coat. When the dog cleans itself, it will end up ingesting the infected eggs resulting in tapeworms growing in their intestines. Gnawing/biting can cause hot spots, a bacterial infection that manifests as painful red sores. If a flea carrying an Intra-erythrocytic Bartonella parasite transfers this parasite to its host the host will become ill with a bacterial infection. Just kidding, don’t panic. There are several solutions to rid your dog and home of fleas. First, contact your vet. They will aid you in putting together the best plan for you and your family to eradicate the flea issue. Often, your vet will suggest the use of multiple products to help completely relieve your dog of fleas. There are different oral medications, injections and topical treatments that can be used together to kill the fleas. 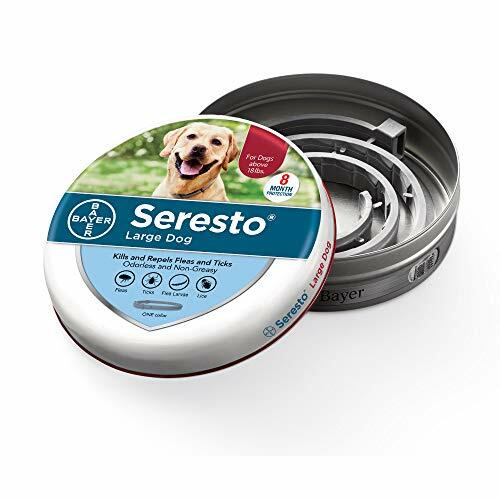 Unfortunately, most flea products don’t cover all of the life cycle stages, which is key to resolving the flea problem. In addition, to these medications, it’s also a great idea to use a shampoo that will help relieve the discomfort caused by the fleas. Adams Plus Flea & Tick Shampoo with Precor – It kills fleas and the flea eggs, it also has aloe, lanolin, & oatmeal to help soothe your dog’s skin. Mycodex Flea Tick Shampoo P3 – Kills adult fleas but also has aloe vera, lanolin, and coconut extract to aid in relieving your dog’s discomfort. Vet’s Best Flea and Tick Advanced Strength Dog Shampoo – It kills all life stages and uses all-natural essential oils. I’m a big fan of this brand. We use their preventative spray when camping. There are some other natural options you can use to remove fleas. A multi-pronged approach may be best. Vacuum, Sweep and Mop – Clean all surfaces thoroughly, fleas can live almost anywhere dark couch cushions, carpet, baseboards, car seats, etc. there really isn’t a place in your home or car a flea can’t live. Also, dispose of all debris you sweep up and/or vacuum in an outdoor trash can. Fumigate Your Home and Yard – It’s best to call a professional for this, but there are some DIY products too, like flea bombs, sprays, and powders. It’s important to use extreme caution and follow the instructions carefully. These products can do more harm than good if not used properly. Wash all bedding – Human and pet bedding all need to be washed in hot soapy water, regular laundry detergent will work fine. Dog beds should be washed on a regular basis to help to avoid another flea extravaganza. Unfortunately, it’s highly suggested that you repeat the above processes over the next few weeks to ensure the fleas are truly gone. For the fumigation, most exterminators or products will indicate when to repeat the process. It’s tempting to stop early when you no longer see evidence of fleas, but trust me, it’s worth the extra work to avoid a relapse. Flea eggs love hiding in couches, rugs, and even in the space between tiles! If all the life stages of the flea aren’t addressed, the infestation will reoccur. Most products that can kill an adult flea can’t necessarily kill the eggs or larvae. The same is true for the products that kill the eggs, and so on. If not all areas your dog comes into contact with are addressed then the fleas will continue to be an issue. This includes, but is not limited to, the house, car, yard, and all other family members. Preventative measures are the most important factor. If you go through all the work of ridding your life of fleas but don’t put preventative measures in place, it will all be for nothing. Now that you have the situation under control, it’s time to focus on preventative measures. Some of these products can be used together. As always, it’s best to consult your vet first since you can overdo medicate. For example, we use the sprays when hiking and camping even though we use Bravecto. It’s just an additional layer of protection when we’re deep in flea country. Sprays – Vet’s Best Flea & Tick Spray & Wondercide Flea and Tick and Mosquito Control Spray. I like both of them equally. Yard Control – Wondercide Natural Flea and Tick Yard Spray. It’s organic, but more importantly, it’s safe to use around pets and children. The bottom line is that prevention is the best method for flea control. I know if you’re dealing with this now, it’s a “shutting the barn door after the horse is out” thing, but moving forward it’s best to focus on prevention. Some of the preventative products might be a bit costly, but well worth it to avoid another flea infestation.